We are so proud to have such a wonderful community of supporters that get involved in a variety of different ways to help raise vital funds and awareness of pancreatic cancer. One way that our supporters can get involved, is by becoming a Community Representative. These people work hard to raise the profile of pancreatic cancer within their local area by organising events; running awareness stands; handing out awareness packs to GPs and pharmacies; and much more. We are delighted to welcome Emma Hardy to our team of Community Representatives this month. 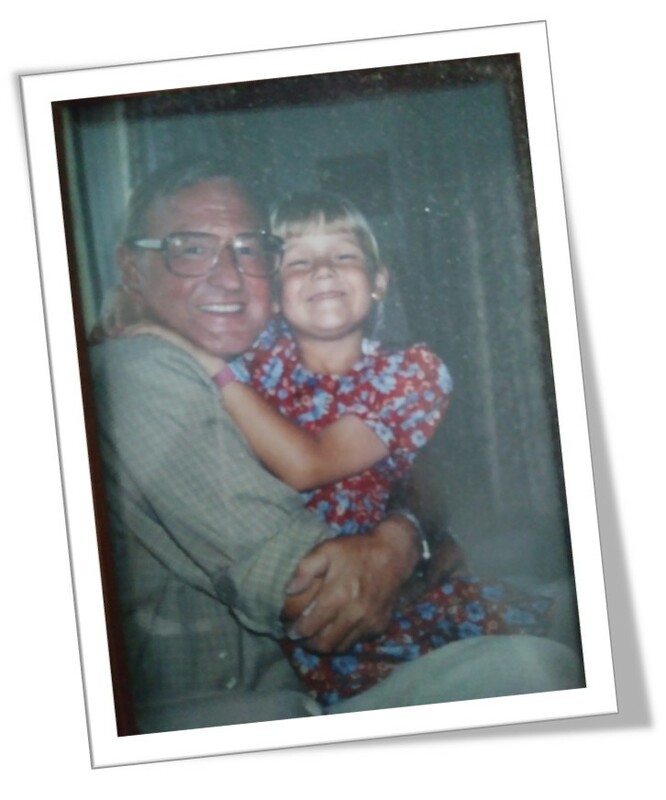 After sadly losing her granddad to pancreatic cancer, Emma decided it was time to take action against the devastating statistics surrounding the disease and has dedicated a lot of her time to fundraising and raising awareness for Team PCA. Find out more about Emma’s inspiring story, below. “My granddad Colin (Pops) was my world. He was my dad, my teacher, and my mushroom hunter on the moors. He took me to get my first library card. He taught me to spell long complicated words by the age of six. At one stage he even had a snail farm in his garage. Losing him to pancreatic cancer when I was 18, with one week to go before university started, was devastating. Ten years on, and a little browse online, I see Pancreatic Cancer Action’s harrowing statistics. 5% survival rate, lowest survival rate. Despite everyone’s best efforts, ten years on and nothing has improved. Stories of other cancers seem to show more good news, so why not pancreatic? I am angry. I decided it was time to act. For the survival rate to improve, it is obvious, that with 50% of diagnosis still occurring in A&E, earlier diagnosis is vital. I eagerly wait for the day that patients and families don’t experience the pain that we went through. I found the speed of the deterioration of the illness the hardest to take. My Pops was given 2 – 4 months and lasted 9. Apparently, he was one of the lucky ones. This is not, and never will be, good enough. After finding all this research, I decided I had sat on these statistics for too long and that if I want something to change, I’d need to do it myself! I started by doing a fundraiser at work of any unwanted Christmas presents. The response was brilliant and £170 was raised. 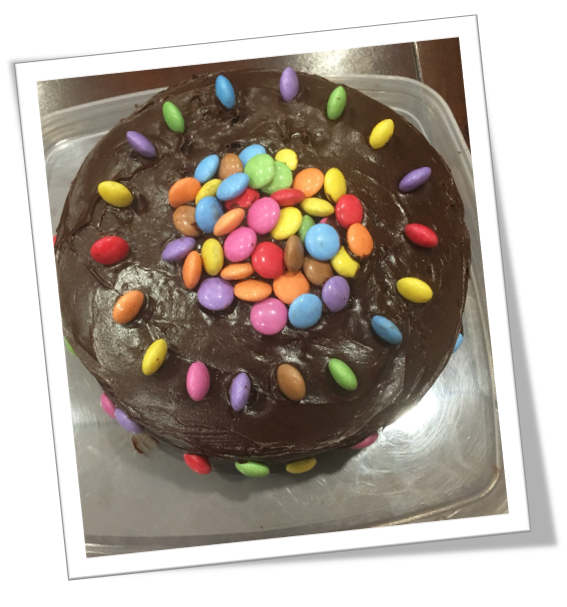 One colleague (who we like to call our own Mary Berry) made a brilliant cake for the raffle too. During this fundraiser, I had many colleagues come up to me and ask lots of pancreatic cancer questions: does drinking/smoking affect this? If I am diabetic am I at risk? What is the pancreas? Why do only men get it? As you can tell from those questions, education was required. I realised at that point that awareness was just as, if not, more important than fundraising. Myths needed to be dispelled. 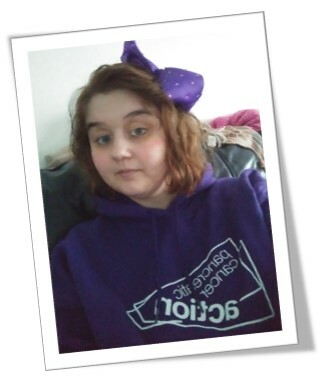 I contacted Pancreatic Cancer Action and asked to become a community representative. Since then, I am arranging three supermarket awareness stands, and have given out 7 GP awareness packs, and 12 pharmacy packs. The pharmacy packs have had some positive responses, with them saying its unusual for them to be included and thanking me for the information. Pancreatic Cancer Action has many great resources for awareness. People in the street have asked me about my PCA hoodie and even my water bottle. I used the PCA “Guess the name of the bear” materials and raised £60. Everyone adored him (or her) due to the softness and cuteness but it also got the PCA brand noticed. I could not have even got started on my journey without the fantastic support of the PCA staff. Their resources are the best I’ve ever seen from a charity. It means such a lot that a charity that is so close to my heart happens to be the best out there. I look forward to wearing my pyjamas on April 16 and continuing my PCA journey for the rest of the year. Here’s to you, Pops”. If you would more information on volunteering with PCA, click here.